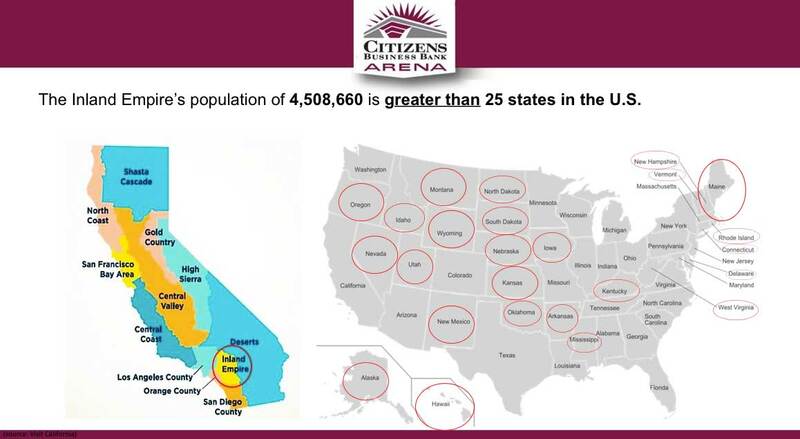 As a Citizens Business Bank Arena Founding Partner, your company will be one of a limited number of exclusive companies that will have the unique opportunity to create brand affinity through direct association with a variety of sporting events and live entertainment that will take place at Citizens Business Bank Arena. 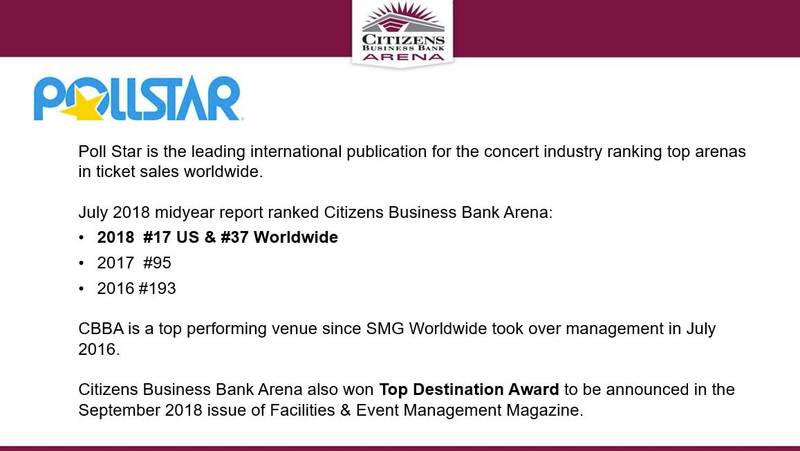 As a category exclusive partner, a relationship with Citizens Business Bank Arena will establish significant brand awareness to key demographic groups, energize demand for your products and offer the opportunity to be favorably associated with a unique multi-purpose venue that delivers a positive experience presented at every Citizens Business Bank Arena event. 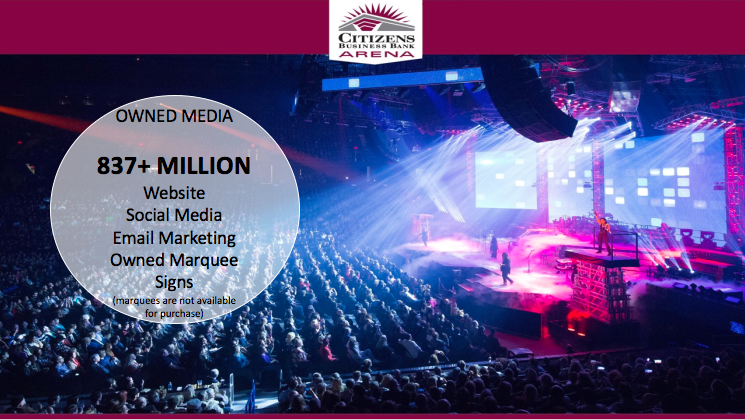 The possibilities are endless, and our team of creative marketing experts can help you to maximize your marketing opportunity at the Citizens Business Bank Arena. For More Information, please email Vicki Higgins at [email protected]or call 760.808.5015. For More Information, please email Vicki Higgins at [email protected] or call 760.808.5015.